It’s no secret that science, technology, engineering and math are the fields of the future. STEM became everyone’s vision of the future once Neil Armstrong took that first step out onto the moon’s surface. And STEM is even more critical to our nation’s future today. The United States Department of Commerce estimates that jobs in STEM will grow 17 percent by 2018, which is 55 percent faster than non-STEM jobs over the next decade. 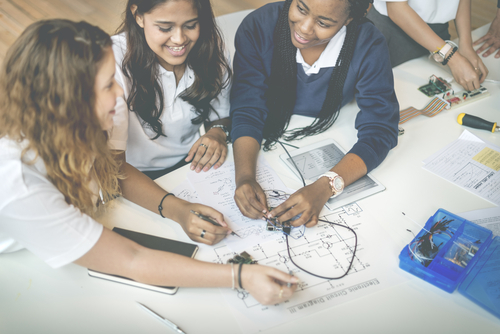 Unfortunately, this incredible growth is outstripping the number of qualified people, meaning that by 2018, over 2.4 million jobs could remain unfulfilled in the U.S. Women and minority groups are particularly underrepresented in STEM fields. But National PTA is working to solve for this challenge. To meet the rapidly-growing demand for qualified STEM professionals and develop the next generation of leaders, we must help students and families build the necessary skills to pursue STEM degrees and career opportunities. 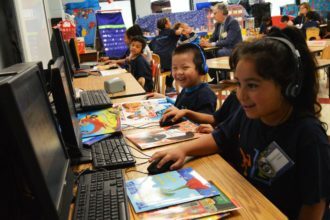 To address the gap and connect all families to the possibilities of STEM, National PTA created STEM + Families, an initiative supported by Founding and Presenting Sponsor Bayer along with Founding Sponsors Mathnasium and Microsoft. The goal is to increase access to STEM education and careers—especially among under-represented youth— by developing effective ways to inform and engage families in STEM experiences, while working with our partners to improve access to STEM school and community learning environments. You don’t need to be an engineer, doctor or scientist to support students’ exploration of STEM learning. To learn more about the STEM + Families initiative, National PTA’s research around effective family engagement in STEM or more ways to support STEM education, visit PTA.org/STEM. Corinne Canning is the Editorial and Marketing Specialist at National PTA.